Rasam is one of the popular dishes of South India. Rasam is prepared mainly using black pepper and tamarind. 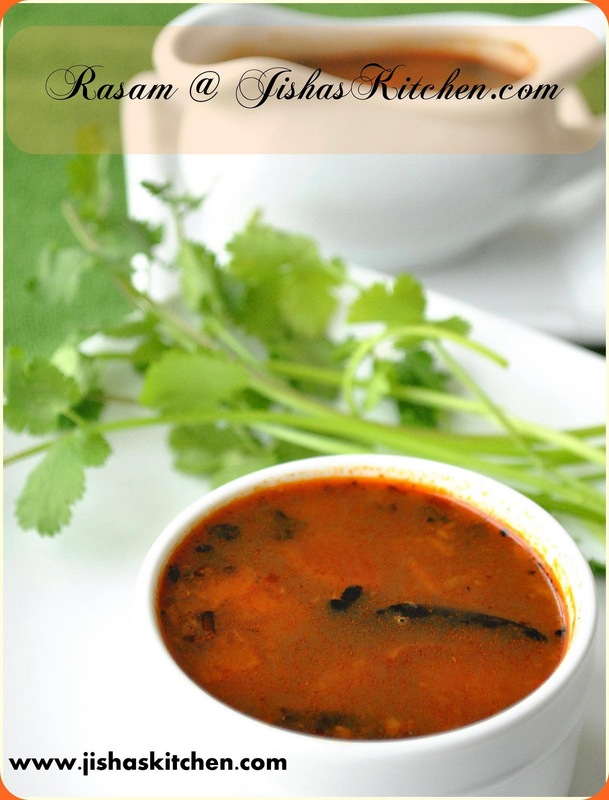 Rasam is very easy to prepare and my mom used to prepare this almost everyday. We can even drink it like a soup or can have with Rice. Some people add lentils to make the rasam little bit thick. I have already shared Parippu Rasam / Dal Rasam . If you perfer rasam to be thicker then you can use that recipe. Today I am sharing a simple kerala style rasam which is very easy to prepare and is very watery. We can even call it as tomato rasam. Heat oil in a pan and add mustard seeds. When it crackles, add dry red chillies followed by crushed ginger and garlic and saute till it becomes light brown in color. 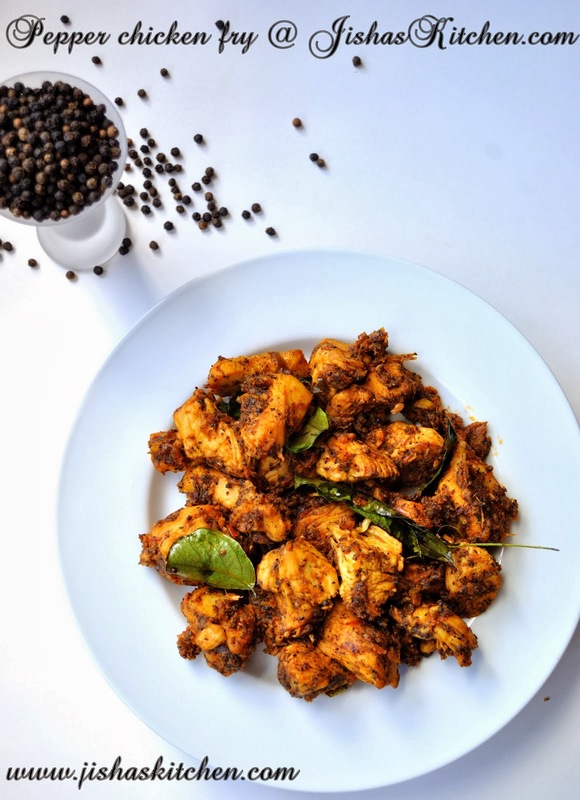 Then add crushed green chillies and lower the flame and add black pepper powder, red chilly powder, coriander powder, fenugreek powder, turmeric powder and asafoetida powder and fry for less than a minute. Then add finely chopped tomatoes along with 1 1/2 cups of water, tamarind paste and enough salt. Cook for 15-20 minutes in medium flame or till the tomatoes are fully cooked. Then finally add chopped coriander leaves and curry leaves and remove from the flame after 2 minutes. Yumm, such a tempting and comforting rasam, need some rite now..
yummy...ente fav annu da....ammuma endakum!cute click! 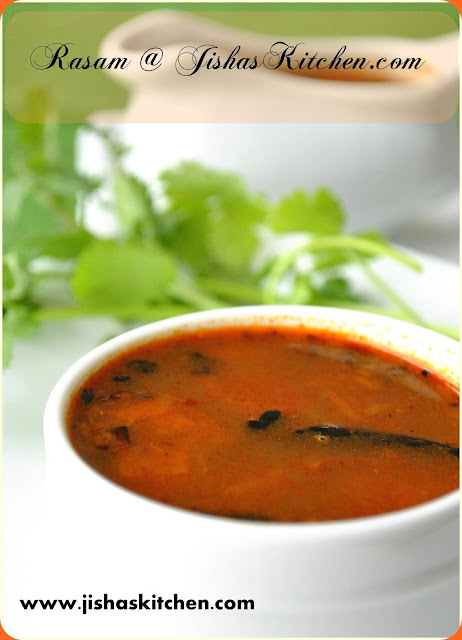 Yummy looking rasam, gorgeous pictures. Real comforting rasam..!!! The color looks rich & inviting.. Delicious rasam,quick and yummy,great with rice. The rasam looks yum Jisha!! I once ate at a mess in Palakkad and I swear that was the best rasam I have ever eaten, I'm still trying to replicate that!! I will definitely try your recipe, thanks for sharing! eeshwara, kurachu kuthari chorum, ee rasavum pinne kurachu thoranum undel ente lunch kushal ayene, Adipoli aytund ketto, cute cliks..
enjoying the winter snow with rasam...too good! 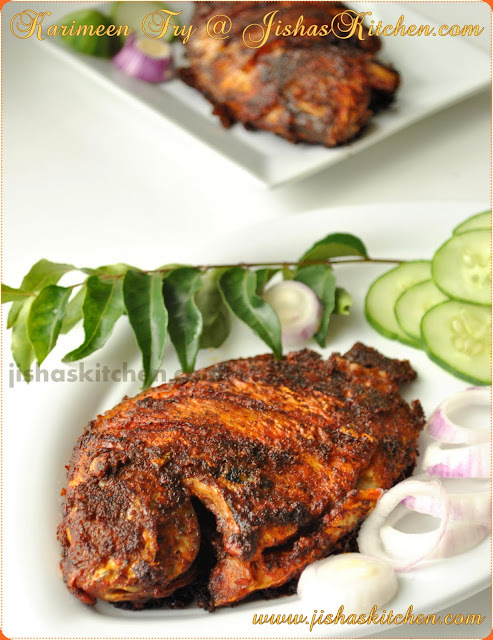 Lovely color Jisha..Your clicks are tempting me to make some now..
U r making me drool here..delicious n very authentic! Mouthwatering rasam..I love to have it as a soup..Adipoli clicks, Jisha! Rasama looks good. Nice click. My comfort food..love to gobble up with with some hot rice..YUM! Thx for stopping by kothiyavunu and for kinds words..Cheers! Hello Jisha the rasam looks yummy!! I am your new follower do visit my blog in ur spare time.